We believe that art can have a powerful impact on health and wellbeing. 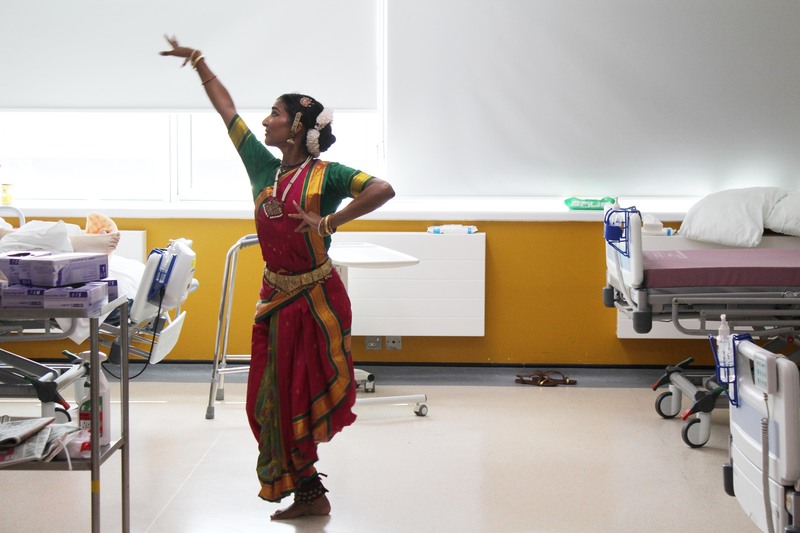 Akademi works with hospitals across London to provide performances and workshops in atrium spaces and within the wards. Our artists work with all ages from young children on the paediatric wards, to older adults and those with long term health conditions; as well as visitors, relatives and staff. Although some patients may only come into contact with the dance artists on one occasion due to discharge from hospital, these performances and workshops have the potential to ignite or reignite a person’s interest in the arts and therefore encourage further engagement on discharge from hospital. Akademi provides regular public performances in the hospital atriums at Chelsea and Westminster Hospital and Guys and St Thomas’ hospitals. These performances are open to staff, visitors and patients within the hospitals and provide a welcome distraction, bringing colour, music and dance to the hospital. Akademi’s professional dance artists will normally perform a selection of solos/duets over the course of 45mins – 1 hour, allowing those watching to come and go, or remain for the whole programme. Dance artists also visit the older peoples’ and paediatric wards to provide intimate performances within the bays. These performances are welcomed by patients, visitors and staff alike, lifting the atmosphere in the ward, and providing a creative break. Over recent years Akademi’s participatory work has extended into the wards, working closely with occupational therapy and physiotherapy teams to provide workshops in day rooms within the wards and at the bedside. For those who are not able to attend a group workshop due to physical or cognitive impairment, bringing dance to their bedside allows them to still engage in a creative activity and experience a different relationship with the dance artists and the nurses on the ward, who often join in. 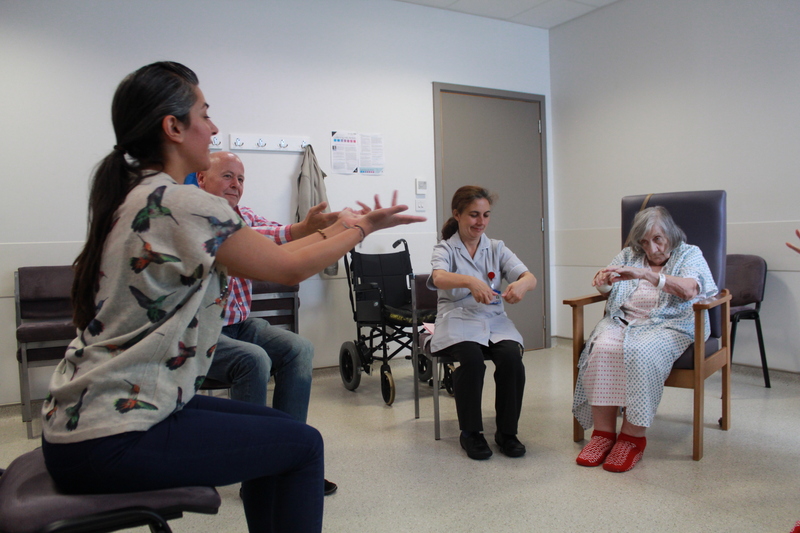 Dance can also be used as a rehabilitation tool, complimenting the work of the therapies team in preparing the patient for discharge from hospital. This can include dance movements that will aid patients in day to day tasks, such as using mudras to articulate the joints of the fingers and wrists, which may help with making a cup of tea, opening a cupboard, or holding a pen. Akademi continues to expand this work, and advocate for dance to be embedded into the healthcare system, for both prevention and management of chronic conditions.